A woman driving on Route 9, near Nelson, New Hampshire, was involved in a head-on collision that resulted in the serious injury of two people traveling in the vehicle she struck. New Hampshire State Police say that the woman was driving east on Route 9, under the influence of alcohol and using an electronic mobile device, when the accident occurred. She was charged with Aggravated DWI and vehicular assault. 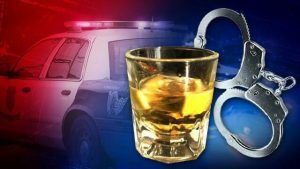 A person may also be guilty of an Aggravated DWI if they have a blood alcohol concentration of 0.16 or more at the time alleged. Not only was the woman in the scenario above driving under the influence of alcohol, she was also using her mobile device. New Hampshire is a hands-free state, and the use of an electronic mobile device while driving is called “distracted driving” and, as such, may have added or elevated her vehicular assault charge. A suspension of the driver’s license for no less than 18 months. If you have been charged with an Aggravated DWI, you must retain the services of an experienced lawyer immediately. These cases can be overwhelming and scary, but working with skilled DWI attorneys at Tenn And Tenn, P.A. can mean the difference between a clean record and a conviction. Using various defense tactics, such as the improper administration of alcohol testing devices, lawyers at Tenn And Tenn, P.A. will protect your rights in the courtroom. Do not wait to start fighting these serious charges, contact us today!